Five days after India shot down one of its own low-orbiting satellite, NASA head states that the Indian test has enhanced the risk of collision with the International Space Station to 44% over 10 days. A file photo after the successful test-launch of India's anti-satellite (ASAT) missile and destruction of one of the nation's low-orbiting satellite, done at an altitude of 300 km on March 27. India's elimination of one of its own satellites on March 27 has been stated "unacceptable" by the head of the United States' (US) space agency National Aeronautics and Space Administration (NASA). The space agency's chief, Jim Bridenstine stated that the missile test activity has created over 400 pieces of orbital debris and hence presents a risk to the astronauts on deck the International Space Station (ISS). The statement came as a part of Bridenstine's address to his employees at NASA five days after India shot down the low-orbiting satellite. "It is unacceptable and NASA needs to be very clear about what its impact to us is," said Bridenstine. The satellite ventured into pieces, many of which are dangerously large but too small to track, he said adding that they are presently tracking the objects big enough to track (which are about 10 cm(six inches) or bigger). They have tracked 60 pieces till now, 24 of which were seen going above the apogee of the ISS, he informed. This is despite the Indian satellite being destructed at a relatively low altitude of 300 km (or 180 miles), sufficiently below the ISS and most satellites in orbit. "That is a terrible, terrible thing to create an event that sends debris at an apogee that goes above the International Space Station," added Bridenstine. The space agency's chief, Jim Bridenstine stated that the missile test activity has created over 400 pieces of orbital debris and hence presents a risk to the astronauts on deck the ISS. The Indian test has enhanced the risk of collision with ISS to 44% over 10 days. Even though the risk will dissipate over time as much of the debris will burn up as it enters the atmosphere, it cannot be denied that even collisions with tiny objects can be catastrophic in space, largely due to the pace at which the objects are moving in orbit. "At the end of the day we need to be clear with everybody in the world, we're the only agency in the federal government that has human lives at stake here. And it is not acceptable for us to allow people to create orbital debris fields that put at risk our people," Bridenstine said. Clarifying that the ISS is still safe and if needed to manoeuvred, it will be, he added, "The probability of that I think is low. But at the end of the day we have to be clear also that these activities are not sustainable or compatible with human spaceflight," Bridenstine said. 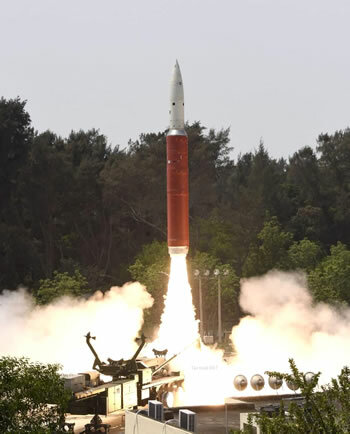 At the time of the launch, India's external affairs ministry had said that the test was done in the lower atmosphere to ensure that there is no space debris. "Whatever debris that is generated will decay and fall back onto the earth within weeks," it said. 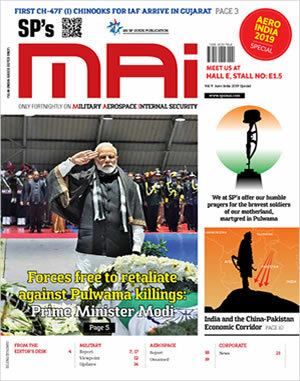 While India was mostly rejoicing and basking at the glory for becoming the fourth nation after the US, Russia and China to enter the elite club of space powers after the 'Mission Shakti' of its anti-satellite (ASAT); amid mixed reactions, many nations were concerned about the space debris that such tests are likely to create causing problems for other satellites. This was specifically in the light of a highly criticized ASAT missile test by China in 2007 conducted at 530 miles from the surface that had left hundreds of pieces of debris scattered in the space. The kinetic-kill ASAT method used in the test produces a cloud of debris can last up to days, weeks or even a year in space before it disintegrates into Earth's atmosphere. The US was actively tracking 250-270 space debris objects as a result of India's ASAT missile test but had put out the possibility of any risk to ISS until Friday, March 29. However, they have tracked 60 pieces till now, 24 of which were seen going above the apogee of the ISS. These objects in space are tracked by the US military to forecast collision risk for the ISS and for satellites. At present, 23,000 objects bigger than 10 centimeters are being monitored. Almost 10,000 of these are pieces from space debris, nearly 3,000 of which are solely from the Chinese ASAT test in 2007. The US was actively tracking 250-270 space debris objects as a result of India's ASAT missile test but had put out the possibility of any risk to ISS until Friday, March 29. 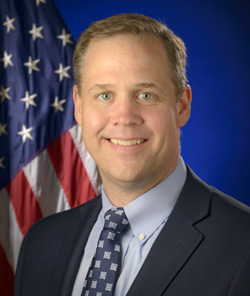 However, on the March 27 itself, in a U.S. House of Representatives hearing on NASA's proposed budget, Bridenstine had touched on spoken about tests that create space debris. "Debris ends up being there for a long time. If we wreck space, we're not getting it back. And it's also important to note that creating debris fields intentionally is wrong. The entire world [has to] step up and say, 'If you're going to do this, you're going to pay a consequence.' And right now, the consequence is not being paid," he had said. There has not been a further response from the authorities or the government of India for now.